I think the evidence is clear that today’s stock market is getting much more selective, due largely to the anticipation of a rapid deceleration in corporate earnings for the next two or three quarters. Chaos in the bond markets makes stocks relatively attractive. Deflationary forces are building, adding to stocks’ luster. The market is flat but it’s the best place to be due to the chaos associated with the credit (bond) markets. The German 10-year bund yield meandered into even deeper negative territory last week. Some say that rates in Europe, like Japan, will never go much higher due to aging demographics, slower economic growth, the European Central Bank (ECB) stimulus – and a Brexit mess in which Prime Minster Theresa May may have to resign in order to break the logjam of Parliamentary resistance to her Brexit plans. Wall Street figured out last week that low Treasury yields, negative German yields, and continued Brexit chaos is good for the stock market. Rumblings of a potential Fed rate cut should be ignored, since the Fed is trying to promote stability, not unsettle the U.S. economy with an impending interest rate cut. In a real shocker, Stephen Moore, President Trump’s latest pick for a seat on the Fed, has been calling for the Fed to reverse course and immediately cut rates by a whopping 0.5%! In an interview with The New York Times, Moore said that the Fed was wrong in raising rates 0.25% at its September and December Federal Open Market Committee (FOMC) meetings and that these interest rate hikes made him “furious”! I have met Stephen Moore several times at multiple MoneyShows, where we were both speakers. I always found his arguments to be very persuasive. However, many on the FOMC and in Congress view Stephen Moore as merely a Trump supply-side “plant” to make the President’s economic arguments. Frankly, the Congressional hearings for his nomination should be fascinating and entertaining – and grueling for him. Most bond experts I talked with last week believe that the Fed will try to effectively flatten the yield curve via its asset sales in the upcoming weeks and months. In the meantime, I cannot emphasize enough that the recent yield curve inversion has more to do with global capital flight than a weak U.S. economy. Deflationary forces are building, as both median housing and energy prices moderate. The trend toward lower interest rates is also positive for higher stock prices, especially for dividend growth stocks! There is plenty of new evidence that deflation is brewing. For example, last Tuesday it was announced that the S&P CoreLogic Case-Shiller 20-city index of real estate prices rose 0.1% in January and just 3.6% in the past year, which is the slowest annual pace since 2012. Only five of the 20 cities surveyed reported median home prices rising in January, so prices around the country are softening in early 2019. 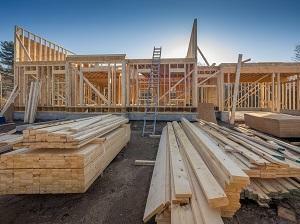 In addition, the Commerce Department on Tuesday announced that housing starts declined 8.7% in February to an annual rate of 1.162 million, the lowest level in more than 18 months. Additionally, building permits declined 1.6% in February. Affordability seems to be a major issue, since single family home starts declined 17% in February to an 805,000 annual pace, the lowest level since May 2017. Also on Tuesday, the Conference Board announced that its consumer confidence index slipped to 124.1 in March, down from 131.4 in February. Even more shockingly, the “present situation” component slipped 12 points to 160.6 in March, the largest one-month decline since 2008. The “consumer expectations” component also fell four points to 99.8, but no matter how moody consumers get, they tend to cheer up in the spring as the weather improves, so I expect consumer confidence to improve in the upcoming months. Rounding out the real estate numbers, on Friday, the Commerce Department reported that new home sales rose 4.9% in February to an 11-month high and an annual pace of 667,000, but in the past 12 months, new home sales have risen only 0.6%, including several months of declining sales. Median home prices have moderated and now stand at $315,300, which is 3.6% lower than a year ago! There is no doubt that more multi-family home sales versus single-family homes are responsible for the decline in new home prices. On a final deflationary note, the Energy Information Administration (EIA) announced last Wednesday that crude oil inventories rose by 2.8 million barrels in the latest week. This was truly a big surprise, since analysts were expecting crude oil inventories to decline by 1.2 million barrels. Some disruptions in crude oil exports due to a tank fire in the Houston ship channel may have distorted crude oil inventories, but more supply is also coming online. If oil inventories continue to rise, energy prices should taper off.